Workers sort onions at a wholesale market in Maharashtra. 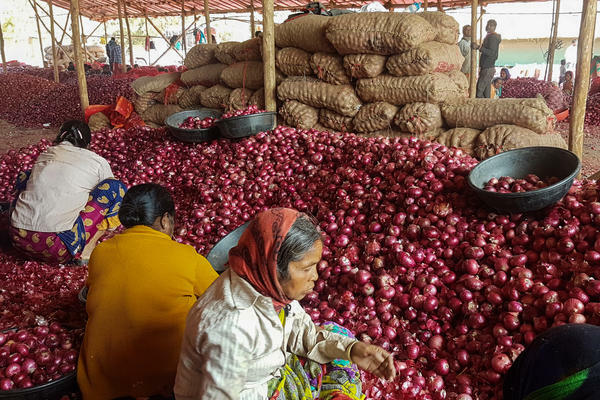 The state is India's biggest onion producer. Prices have fallen drastically because of a surplus and fewer exports. 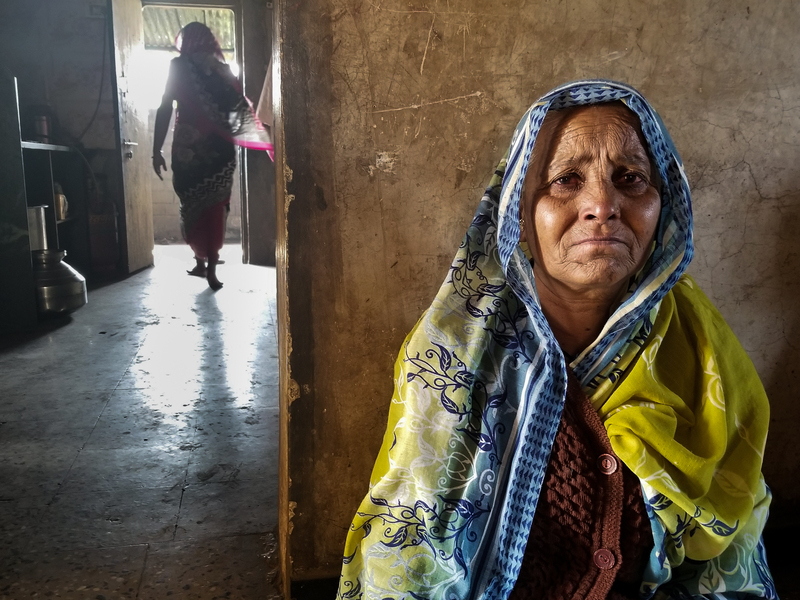 Irabai Jadhav, 60, is the matriarch of a family of onion farmers in Maharashtra. Her eldest son killed himself in late November. He had been about $40,000 in debt. Jadhav's husband died of a heart attack 12 days later. Now she is left with all their bills.